Today drove on the A47 from Peterborough to Norwich, they does like a roundabout round there they does. ASTONISHER No.45: When Johnny Cash gave an unlikely concert at San Quentin state prison fellow country singer Merle I'm an Okie from Muskogee Haggard was in the audience serving two and a half years for burglary and an attempted jail break. Equally unlikely (though perhaps not in the USA) Haggard was pardoned in 1972 by then governor of California Ronald Reagan. Pop up shop Carousel in Bridge Street Framlingham has been an impressive success. Previously it was ladies clothes and this week it is paintings by Peasenhall artist John Bawtree. 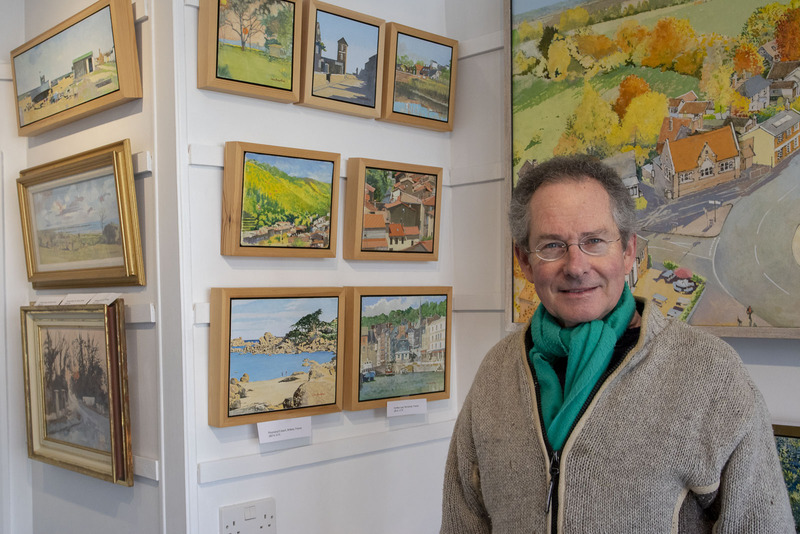 His works are thoughtfully attractive and are of both local Suffolk scenes and overseas including Venice, France and Zanzibar! Here's a roller derby novelty, the British Championships Mansfield Roller Derby v Hellfire Harlots B is free entry ... though it is a ways to Mansfield admittedly. It's all the go in and about near the coast, temporarily closing petrol stations to re- model them, not an insignificant matter when there are so few to start with. Woodbridge (has it re-opened yet? 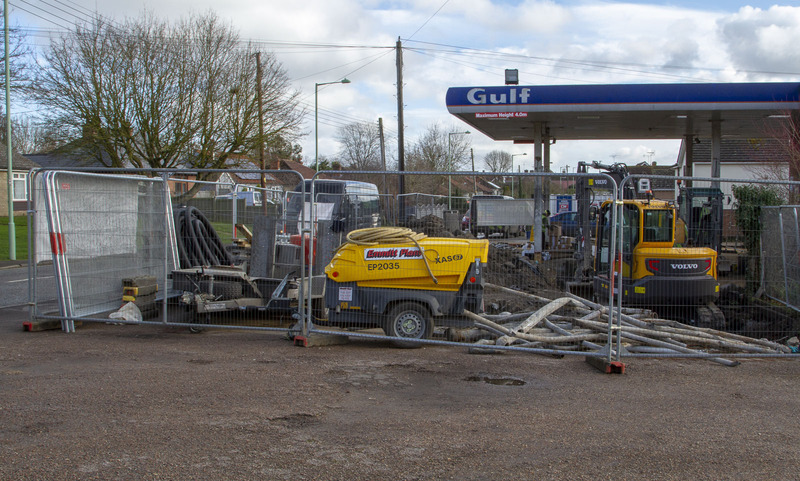 ), Co-op Stowmarket (not closed but building going on), Haynings Framlingham (reportedly will have a 24 hour self service pump) and now the BP garage on the west bound A14 near Newmarket. Fortunately services just off the A14 on the other side of Cambridge are copiously resourced ... three Costa Coffee machines! We found French director Céline Sciamma's film Tomboy highly involving and rewarding not least because it made the Parisian suburbs look idyllic. So very gratifying to find a sealed copy of her later film Girlhood in the Framlingham EACH chazza. Here the banlieue is relentlessly gritty and though Vic essentially remains trapped in her situation the opening sequence is women's american football from team Les Molosses. As we were leaving Cambridge by the A1030 and in fading light Sunday evening it was dark enough for us to see that the cycle path next to the road had its own small white cat's eyes marking the edges of the track ... good idea eh? The 17th and mountainous stage of the 1978 Tour de France broke up the peloton with riders coming into Morzine the stage finish mostly singly. Seeing British rider Paul Sherwen after the finish gently riding through the town (no team buses then) we made a congratulatory comment and he replied You must be bloody joking. Paul was a two time national champion, participated in seven Tours de France and was during his career pretty much the only Brit in the peleton. He died yesterday aged 62 ... he will be missed. Norwich women's american football team the Iceni Spears are planning for the end of January joint training with the Essex and Peterborough teams followed by a seven a side contact tournament ... can't wait.